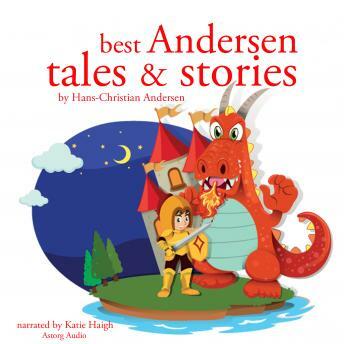 Hans Christian Andersen was a prolific Danish writer, fondly remembered for his fairy tales and stories. They are so elegant, evocative and efficient that they soon began culturally embedded in the West's collective consciousness; Andersen's stories are readily accessible to children, but present lessons of virtue and resilience in the face of adversity that are enjoyable and profitable for mature readers as well. We have selected for you 11 of his most beloved stories, narrated in a warm and lively way. The Emperor's New Clothes; The Ugly Duckling; The Toad; The Red Shoes; The Princess and the Pea; The Nightingale; The Elves and the Shoe Maker; The Story of the Youth who went forth to learn what Fear was; The Snow Man; The Little Match Seller; The Brave Tin Soldier.